The closest I’ve been to being a film director is hopping out of bed with “director hair” (as my friend Maile calls it) for a film showing. The closest I’ve been to being a film producer was letting my younger siblings borrow my gear for their film projects in school. The closest I’ve been to being an actor, was being told by an over-priced and questionable “acting school” at 14 that I should join their program. Even though I’m far from the industry, I just love Sundance. I am simply curious about the world of film, as it has such power to communicate ideas, connect through story, influence perception, and capture cultural history. The Sundance Film Festival seems to be the modern equivalent of the cultural tradition of gathering around a fire for the sake of telling stories and oral histories. The festival creates an environment for cultural reflection that captures stories from people groups and places we might not ever encounter on such an in-depth level outside of the medium of film. I don’t believe in standing in lines, but I throw out this personal aversion during the festival, because lines are an unavoidable barrier of entry to every movie, party, panel, and other events. But believe me, these lines are worth every minute of standing in the frigid January air, because the lines are comprised of people who have travelled from all around the world to attend the festival. I have yet to meet someone who is not involved in their own creative and innovative endeavors in their own cities. In spite of the fact that there are brilliant films being showcased, my favorite part about Sundance was sitting in on the panels that the Institute puts on. The panel discussions covered everything from the intersection of film and science to the emergence of documentaries that take more creative liberties in the way information is presented. There was also somewhat of a “celebration” of the beauty of failure in the creative process. Every panel was just bursting with interesting commentary on every aspect of the industry, and it was fun to be a consumer of it all. Attending the panels feels a bit like getting the stories behind the stories that get so much attention at Sundance. It’s like hearing from the magician behind the curtain, sharing secrets about how they make their magic happen. “The magic of the industry is experiencing the highs and lows,” Michael Barker (Co-President and Co-Founder of Sony Pictures) said, during the “How Many Wrongs Make a Right” panel. In fact, there was an entire day of panels devoted to how people experience failure in the industry. Barker also said, “Your talent is your desire… that’s how you get there.” How true this simple statement seems, after meeting all of the artists that fill up the streets of Park City during the ten days of Sundance. And as this panel pointed out, these artists are not just passionate about their work, they’ve been persistent in their craft, in the midst of strings of failures. And when I asked the “Lessons Learned” panel about whether they ever feel their project gets so big, that it loses its original magic or vision, Joseph Gordon-Levitt (Actor, Director, Screenwriter, Editor) responded with, “At some point you have to not care what anyone else thinks. You need to maintain the authentic reality of ‘I’m doing this just because I want to make it.” This seemed to be a theme of how every panelist views their work. The fame, applause, reaction, and impact of their work is not the goal. 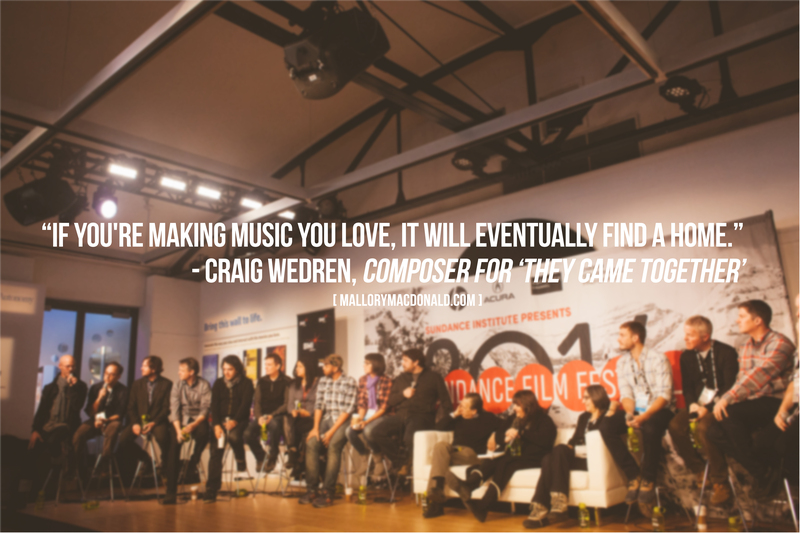 The goal is simply to be creating what they are passionate about creating, and the rest just happens to follow suit. Even though this was only my second year attending Sundance, I think I can safely say it was my “second annual” trip, as I think it has quickly become a favorite week of the year, and something I would like to experience again and again. If you’re an actor, director, producer, or film student, Sundance is definitely a worthwhile use of your time and money. But even if you’re simply curious about the world around you, Sundance is just as much a worthwhile use of time and money. It’s a melting pot for creative genius, and dipping myself in it all once again felt like a delectable treat. Below are a few quotes from some of the panelists I thought were worthy of sharing…. 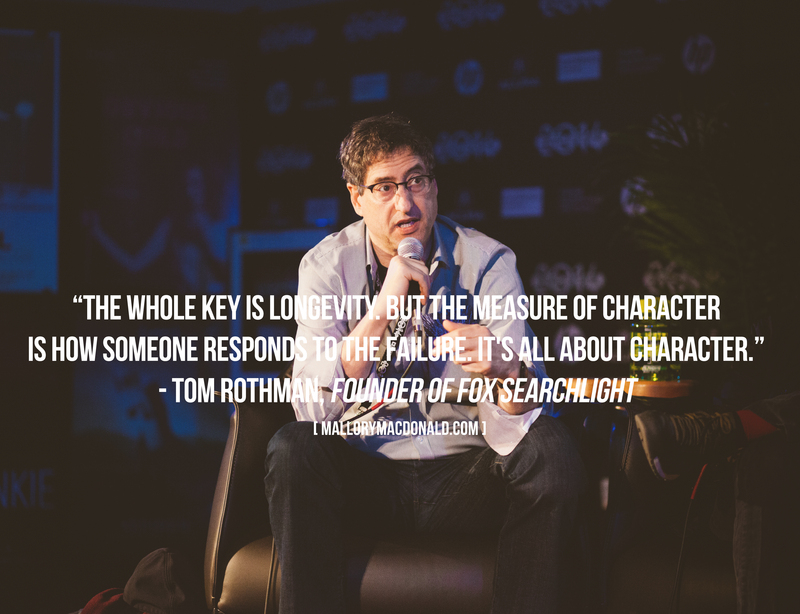 Click here to learn more about Tom Rothman. Click here to read more about Joseph Gordon-Levitt. 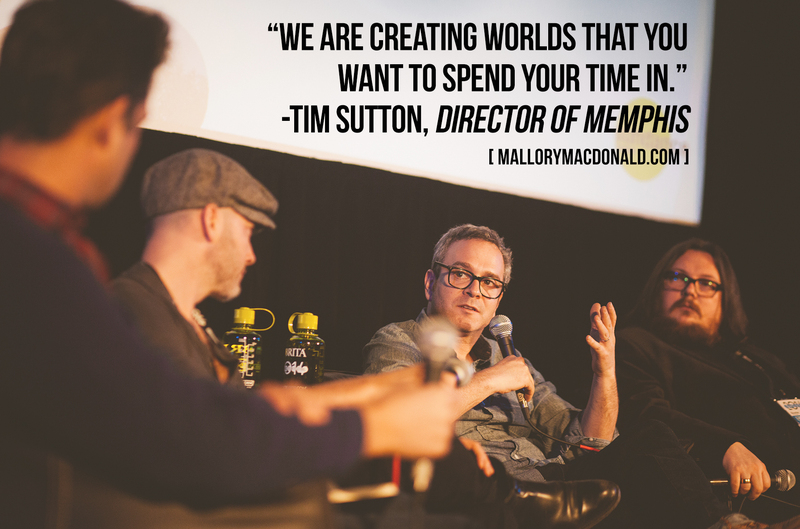 Click here to learn more about Tim Sutton. Click here to learn more about Doug Aiken. 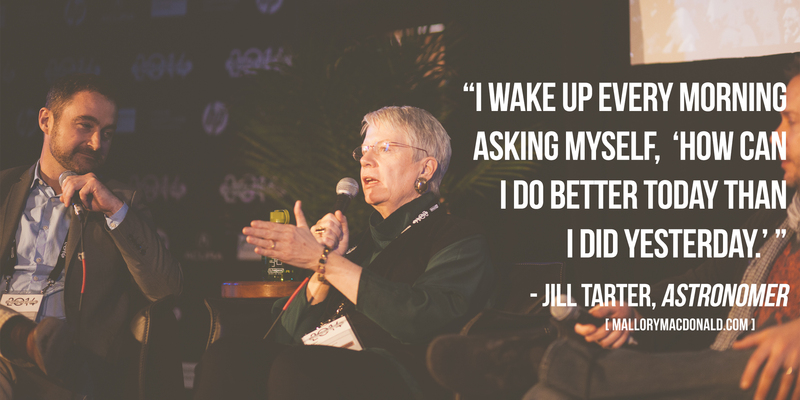 Click here to learn more about Jill Tarter. Click here to learn more about Michael Barker. Click here to learn more about Craig Wedren.